Iceland ( i/ˈaɪslənd/; Icelandic: Ísland pronounced: [ˈistlant]) is a Nordic island country in the North Atlantic Ocean. It has a population of 332,529 and an area of 103,000 km2 (40,000 sq mi), making it the most sparsely populated country in Europe. The capital and largest city is Reykjavík. Reykjavík and the surrounding areas in the south-west of the country are home to over two-thirds of the population. Iceland is volcanically and geologically active. The interior consists of a plateau characterised by sand and lava fields, mountains and glaciers, while many glacial rivers flow to the sea through the lowlands. Iceland is warmed by the Gulf Stream and has a temperate climate, despite a high latitude just outside the Arctic Circle. Its high latitude and marine influence still keeps summers chilly, with most of the archipelago having a tundra climate. We travelled to Iceland in the European winter of 2017. Iceland with kids was a great place to explore the natural environment. Travelling in Iceland was very easy with car hire. 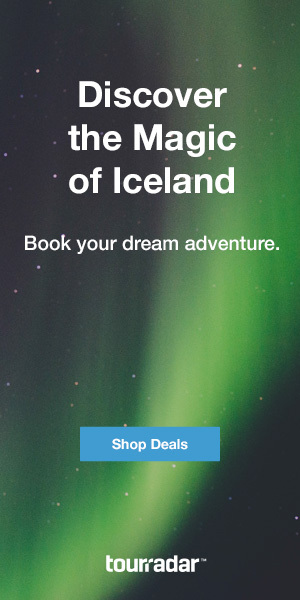 Iceland attractions are easily reached independently or on a tour. We went on a Northern Lights tour in Iceland. You will find many things to do in Reykjavik and the surrounding areas. Please take the time look at our Iceland travel guides page. How to get from Reykjavik to Blue Lagoon Iceland.